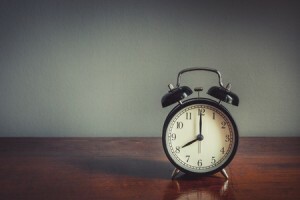 So why all the fuss – and why is Average handle time so important to your business? Well, for one thing, it’s a great yardstick for where your costs are in relation to income. And for another it’s an excellent measuring tool for your service levels. We make a number of important points below in terms of how to reduce your AHT. But a quick word of warning beforehand – you simply must not reduce AHT at the expense of great customer service. If the customer or prospect feels that he’s being rushed or hurried, then you’ve gone too far. 1. Reduces Costs. This is easy enough to demonstrate. If you have 20 agents handling 6 calls per hour over 7 working hours, you will have a daily throughput of 840 calls. If you can lift the base number by just one – from six to seven calls per hour – your daily call rate climbs to 980 calls. That’s a weekly increase of 700 calls, the equivalent of an extra 10 hours work which you don’t have to pay for! Extrapolate the numbers and time frames across all your staff and you can easily see the potential to reduce the number of staff required for any given project. 2. Improves Service. A good example of this is a centre handling inbound service calls. If we use the same numbers given in Point 1 (an extra 140 customers dealt with every hour), this equates to far less time on hold, and indeed far fewer instances of customers hanging up in frustration. The longer customers wait, the more they complain – and remember that complaining takes time. Even if your customer doesn’t actually complain, human nature means that the agent will apologise anyway and that takes time which, in turn, affects AHT. Another key way to improve service – and reduce AHT – is to provide agents with all the information they might need at their fingertips which means that the customer is also far more likely to get first call resolution. 3. Increases Sales. Let’s flip our example to a centre making outbound marketing, appointment or direct sales calls. If the agent gets through to the decision maker once every five calls, the numbers we are using would mean almost thirty decision maker presentations for you, every day. So think how much more commission your agents could earn – and how much more motivated would they be – if they could make 25+ more decision maker pitches a month without increasing their working hours! 4. Improves Productivity. Improving AHT is one of the simplest ways of increasing contact centre productivity and, as we have seen, this applies to both inbound and outbound calls. Whether your customers are internal or external, you can deliver their objectives sooner, and provide even better value for money. Staff will inevitably be better motivated, and from the businesses point of view, the payload per agent will improve significantly – which means that your bottom line looks healthier too. The bottom line is that you will work through lists faster, deliver results sooner and get paid earlier! 5. Improves contract compliance. We all have targets – sales, productivity, customer retention, cost of acquisition, monthly profit; you name it. There is no questioning the fact that one of the best ways to get closer to any target, in any of these areas, is by improving Average Handling Time. This boils down to one key point; sensibly improved AHT means that you are getting more work from the same workforce, without increased hours, increased project execution time or increased salary costs. The return on time and effort spent improving Average Handling Time is significant and immediate. DO NOT improve AHT at the expense of customer service, as it will prove counter-productive.